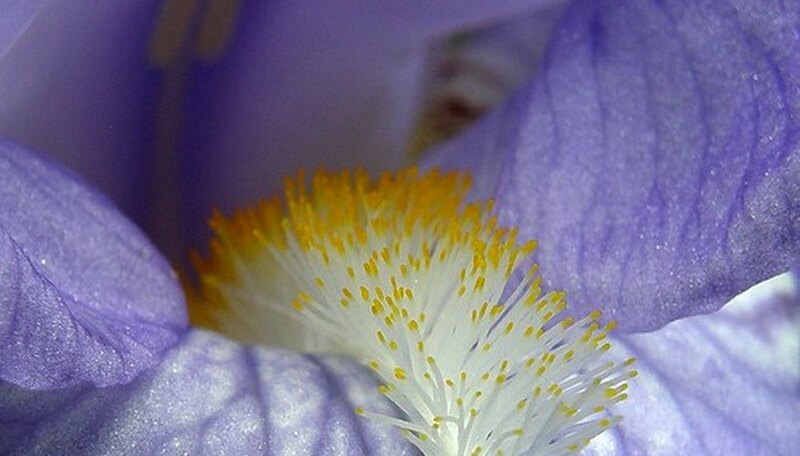 Bearded irises are probably the most elegant of all irises, distinguished by their so-called beards that look like little fuzzy caterpillars, adding a distinctive dab of color down the center of their downturned petals. They are found in a wide array of colors, but the yellow and purple varieties offset each other nicely. These sun-loving beauties will brighten any garden, add a splash of color, or perk up a shrub border from early to late spring. After the blooms die off, their green, spiked foliage adds interest to the landscape. They also make wonderful cut flowers and, with large showy blooms, make gorgeous bouquets. Cabaret Royale has deep, dark purple lower petals and lavender upper petals, with a golden beard. These lovelies are a wonderful accompaniment for lilac bushes, as the shades of purple complement one another. The bright purple border, offsetting the bright, white petals make Going My Way a bearded iris that stands alone or makes a welcome addition to any garden. Another bearded iris that is quite pretty with showy purple and white blooms is Stepping Out. The bright yellow petals of Canary Prince are beautiful offsets to strong, boldly colored flowers such as Red Riding Hood tulips or purple Enchantress crocuses. Planted with any brightly colored tulips or daffodils, these yellow beauties make an impressive display. The dark, golden lower petals combined with lighter and brighter yellow upper petals of Honey Glazed stand out boldly against the dark green foliage of peonies or vinca vine. Aril irises are a more exotic species of bearded iris and Arilbreds are hybrids that fall between aril and tall or median bearded irises. These irises are dual colored, and many are intricately veined and spotted with darker hues. Some of these varieties of bearded iris, such as Gala Madrid, feature both yellow and purple shades combined in each bloom. Aril and Arilbred irises are more temperamental than bearded irises and require alkaline soil with perfect drainage and hot, dry summers. 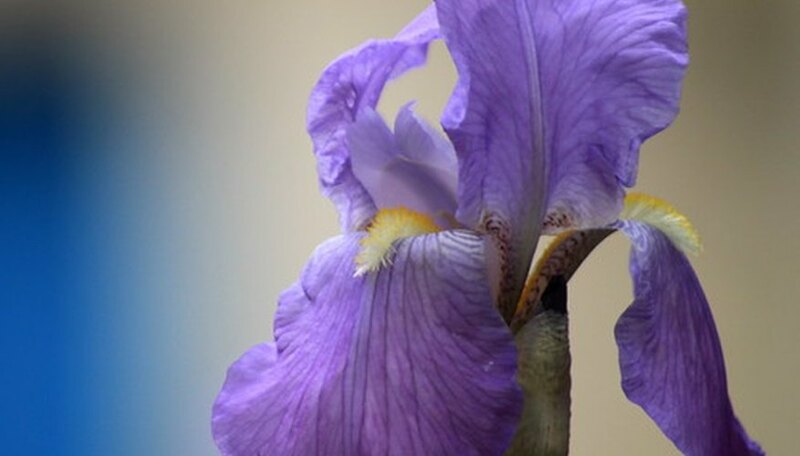 Bearded irises will do well in sandy to clay soils as long as they are well-drained and not soggy. To improve drainage in heavy clay soils, make raised beds. Bearded irises do best in full sun where summer climates are cool, but will do better with filtered afternoon sunlight or full shade in where summer temperatures are hot. Plant bearded iris rhizomes with their tops just beneath the soil surface, no more than 1 inch deep, from summer to midautumn. Water well to settle the soil, then water sparingly until new growth appears. Water new growth regularly as weather permits. Clumps should be dug and divided every three to four years to prevent overcrowding.